This week we’ll have two activities to strengthen fine motor skills. We’ll use clip clothespins and colorful pompous (bunny tails) and pass the pompom around the circle, each child using his clip/pin to pass the pompom to his neighbor. I’ll fill our sensory table with “grass” and hide Easter egg halves and lots of plastic numbers and letters. The children will match and fill the eggs, count the number of eggs they collect and identify their contents. X is this week’s letter and we’ll make xylophones and X-rays of our hands. We’ll identify as many X words as we can ( not easy!!) and practice writing Xs Ys and Zs and numbers 6, 8 and 9. Ask your children about our science experiment: ” useful friction.” Friction helps your hands hold objects, makes them warm when you rub them together and makes car tires heat up and grip the road surface! We’ll celebrate the Easter/Spring season with stories and poems that share and explain the gifts of rebirth and renewal. MATHS- count 10 to 20 forward and backwards. Focus on 11, 12 and 13 . This week the 2’s will be learning the letter U. I have some fun letter U projects planned for your children. Some examples are an umbrella and a hot air ballon going UP. Be sure to look for them in their back pack next week. We are going to explore the sense of taste by using a blindfold and many different types of snacks. Please ask your children what type of food they tasted this week. We also plan on identifying different types of food categories and making a food collage. We’ll continue learning about the five senses exploring textures,tastes and sounds.We’ll do a “blind taste test”(lemon,orange, chocolate,vanilla,banana etc). We have been talking about healthy habits(good rest and exercise) and healthy foods( nutrients,vitamins and minerals) and this week we’ll make an edible food pyramid! We’ll prepare a healthy buffet ( fruits and vegetables) to share with our friends at snack time! kindness and caring for our families and friends. With “whale crackers” we’ll sort, count and graph and do some simple math equations. 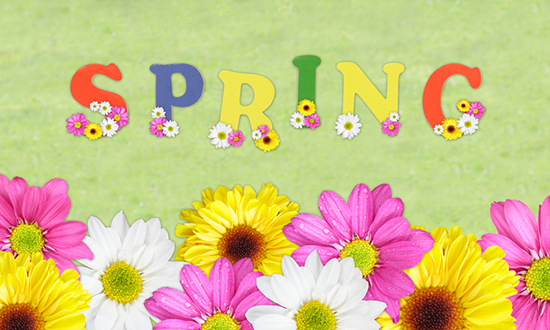 We’ll make wagons, watermelons and weather wheels ( concentrating on the change from winter to spring)! We’ll read Whistle for Willie ( Ezra Jack Keats). This week each child will be encouraged to put up their hand to ask a question- take turns. count 10 to 20 forward and backwards. 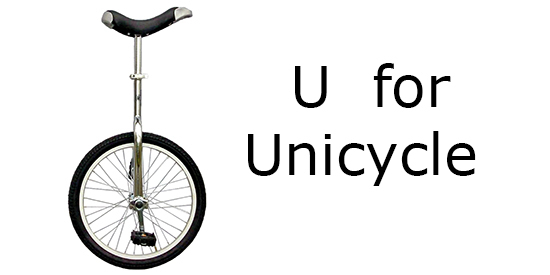 We’ll review letters T and U and finish our U projects (unicycles and underwater scenes). We’ll learn about volcanoes ( we’ll watch a volcano erupt!) and violins and make vegetable soup( talking also about healthy foods and healthy bodies and different textures and tastes). We’ll use several pasta shapes and muffin tins for a math counting and sorting activity. Phonics lessons will include making rhyming puzzles and a small booklet of rhyming cards. To practice beginning sounds, we’ll make a sound stew! I’ll put objects one at a time in the pot and encourage the children( taking turns) to add “ingredients” with the same beginning sound until we have a full pot! Using cereal boxes as game boards we’ll play letter identification lotto/ bingo with the children identifying and marking the letters on their cereal box/ boards as I draw and display the letters. This activity ( one we will repeat) encourages the children to look for and find letters and numbers on all sorts of printed material! Look for our V art projects: flower-filled vases and volcanoes! “V” words, number math. Months of the year. Seasons. This week we will learn about the letter T by making a traffic light out of torn paper and a tractor. While we are making our traffic light, I will discuss the meaning of the 3 colors in a traffic light, be sure to ask your children about it. We will discuss the sense of touch by touching different textures. Some books we will be exploring are Tick-Tock Time & I Touch. 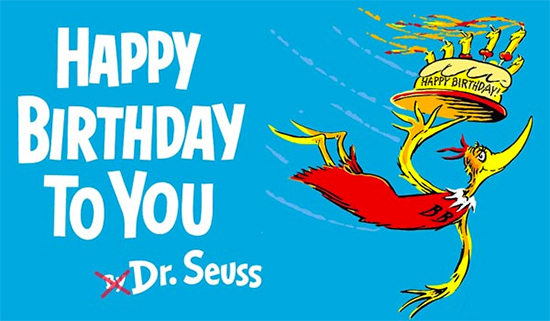 This week we’ll celebrate Dr. Seuss’s birthday! We’ll read Green Eggs and Ham, Oh The Places We’ll Go, Hop on Pop and Dr Seuss’s ABCs. We’ll make hats both edible( strawberries and bananas) and decorative/wearable!! This week’s letter is U. We’ll make colorful umbrellas and unicycles and learn about and create an underwater environment. We’ll practice making uppercase and lowercase Us and numbers 11, 12 and 13. We’ll practice counting numbers10-20 and play Uno to strengthen math and language skills. We’ll learn about and create our universe ( stars, sun, planets and galaxies). Our galaxy ( the Milky Way) is huge with over 200 billion stars! Our fastest airplane would have to travel for a million trillion years to fly across it! “U “words, number math. Months of the year. Seasons. The theme of the month of March is “Sensational” and we are going to have fun talking about our 5 senses. We are going to start with the sense of smell. We will use 6 different strong aromas and a blindfold. Please ask your children about it. We are going to continue keeping our bodies moving by playing indoor gross motor games. This week we are learning about the letter S. We are going to make a snake (letter S) using clay, paint and sequins. This project will really challenge their little fingers. We are going to decorate a letter Ss with stars and we are going to make a collage full of Squares for the letter S.